USyd’s flagship museum, currently under construction, will bear the name of an alleged co-conspirator of the bribe of a senior United Nations official. Dr Chau Chak Wing was named in Parliament as having reportedly contributed $263,000 in funds to bribe the former President of the UN General Assembly, John Ashe. The Chinese-born Australian businessman donated $15 million to the University of Sydney in 2015, to build the ‘landmark’ Chau Chak Wing Museum. In a statement today, the University said it had “no concerns that Dr Chau’s gift would ever be used to inappropriately influence any facet of the University’s operations”. 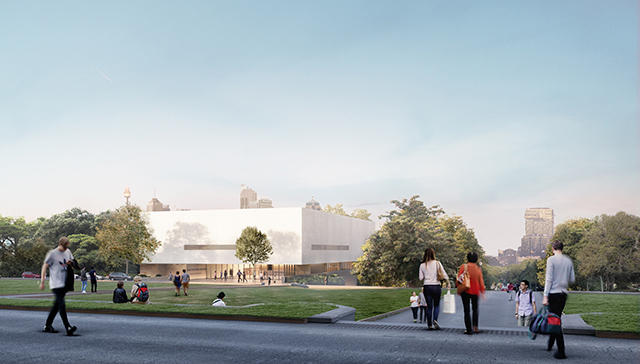 The museum is currently being built near Victoria Park on the corner of Parramatta Road and University Avenue, opposite the Quadrangle. The Nicholson collection, the University Art Collection and the Macleay will be amalgamated into the new development, with the latter two already having closed their doors. A University spokesperson said Dr Chau’s donation “will enrich the cultural life of the community and benefit the University’s teaching and research,” brushing off concerns that allegations against the donor would damage the University’s reputation. Architect Penelope Seidler, who has donated $750,000 towards the Chau Chak Wing Museum, told the Sydney Morning Herald that it was “very disappointing” to hear about the bribery accusations and that the matter was “an ethical dilemma” for the University. The entrepreneur and philanthropist has donated $45 million to Australian universities, including a $25 million donation to UTS to build the Frank Gehry-designed Dr Chau Chak Wing Building. A spokesperson for UTS told Honi that the fresh revelations would not influence the University’s agreement to have his name on the Dr Chau Chak Wing Building. These are not the first allegations against the billionaire property developer, after the ABC and Fairfax claimed they had “reasonable grounds to suspect” that Dr Chau had “betrayed his country [Australia], in order to serve the interests of a foreign power, China, and the Chinese Communist Party by engaging in espionage on their behalf”. In June 2017, Fairfax Media and Four Corners identified Dr Chau as the unindicted co-conspirator in the FBI bribery case, and were sued for defamation. Dr Chau released a statement through his lawyer stating that he is “confident of being vindicated” over the claims, maintaining his innocence and noting that he had not been charged with any offence. His defamation case will be heard by the Federal Court on June 12. In January, Vice-Chancellor Michael Spence accused the Turnbull government of “Sinophobic blatherings” after the government introduced new laws aimed at curbing foreign donations and lobbying by groups linked to foreign powers. Senior figures on both sides of politics have come out in defence of the “gentleman philanthropist”. The University’s Naming of buildings and other significant physical assets policy states that the removal or replacement of a name may be considered if “the individual or organisation after whom an asset has been named comes into disrepute”. The Museum is estimated to cost $40 million and is due to open in 2020.